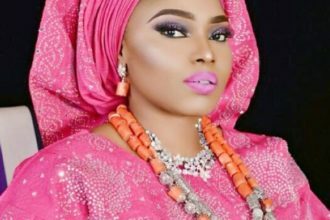 Nollywood Star and recently awarded Peace Ambassador, Halima Abubarka is set to premiere her new movie titled Mistresses. There was a press conference held on friday at Bheerhuz Cafe at Ikeja City mall.The event had in attendance some of Nollywood big names Moyo lawal, Femi Brainard, Azeezat, Cynthia Aghorloh, Marian Kekurah and media practitioners. Mistress is about ladies who date married men and men who lie. The cast of the movie Halima Abubakar,Yvonne Nelson,Moyo Lawal Marian Kekurah. The movie will be premiered on the 24th of February at the prestigious Oriental hotel,lekki. Sure its a date look forward to…….WATCH OUT!! !